Home » Blog » Do you dream of refreshing your Dog Ward? Dispomed has the easiest solution for you! Knowing the majority of the clinics are stuck with hazardous dimensions, we custom make our dog runs for the specific size you need! 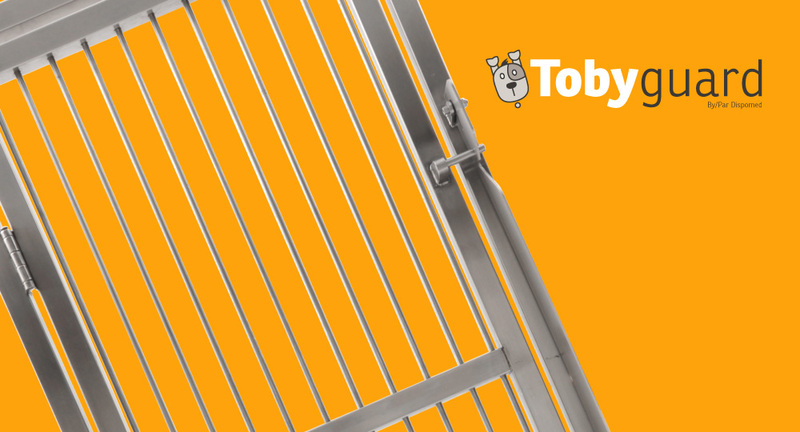 Effectively, our Tobygard runs will fit in every clinic size giving you the most functional dog ward ever! Follow these 4 steps to create your perfect dog ward! 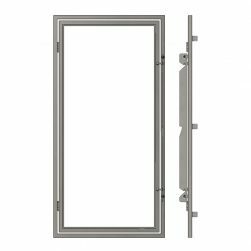 Select if you want a complete frame, a top and bottom frame only or doors without a frame. Once we receive all the information, we will design your doors so you will see what they will look like. 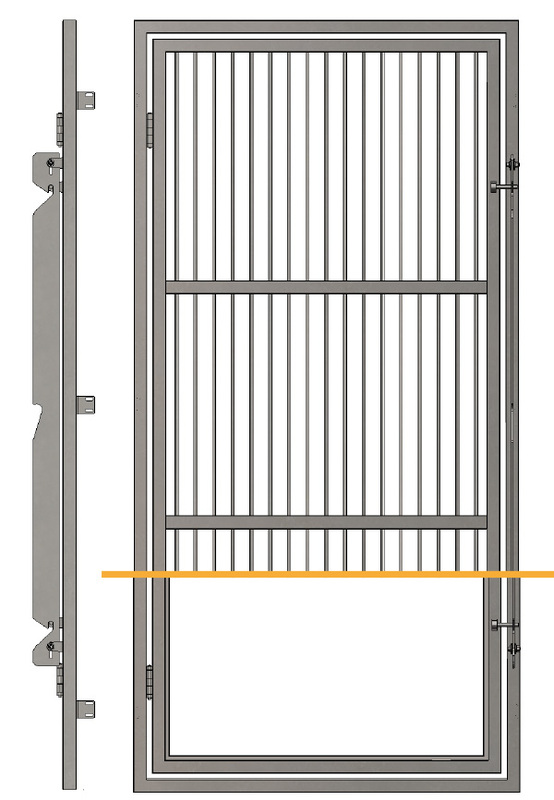 Once approved, the plan goes into production in our facility and you will receive your custom doors within 6 weeks! You can always contact your representative or chat with us with your dimensions and it will be a pleasure to help you create the dog ward of your dreams! Our doors are available with or without frame. 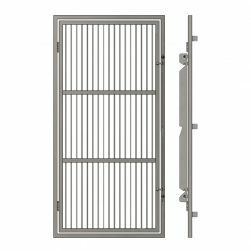 Our stainless steel rod doors are reinforced with 2 horizontal bands to make sure that the biggest dog won’t get through it. These grill doors are made of ¼” stainless rods passing through stainless steel banding to prevent rattling and increase strength.